Almost all houses are equipped with Wireless Network equipment nowadays, but most users do not know enough about the security of Wireless Network. If we search around a bit, carefully we find many Wifi Network with the default name. When the SSID (Service Set Identifier) is by default or factory name, maybe the password is also. So let’s see some steps of securing a home Wireless network to protect our network from being hacked by hackers or neighbour kids;). Buying a good branded Wireless Access Point (AP) which support newly strong wireless security protocols with flexible features and try to install and configure it correctly. If you don’t know how to install, configure and secure the WAP, ask someone expert or read the Guide Notes. Be careful, don’t used it by default. Change the default name and hide it by turning off SSID broadcasting and connect all wireless devices manually. When a Wireless Network SSID is hidden the wireless access point doesn’t broadcast its name around, and no one can find and guess it simply. But it’s possible to find with wireless Hacking tools. Enable Security options of Wireless Access Point with most strong wireless security protocol like WPA2 (Wi-Fi Protected Access II) and set a complex Password. A complex password contains Number, Symbols, lower case letter and upper case letter. 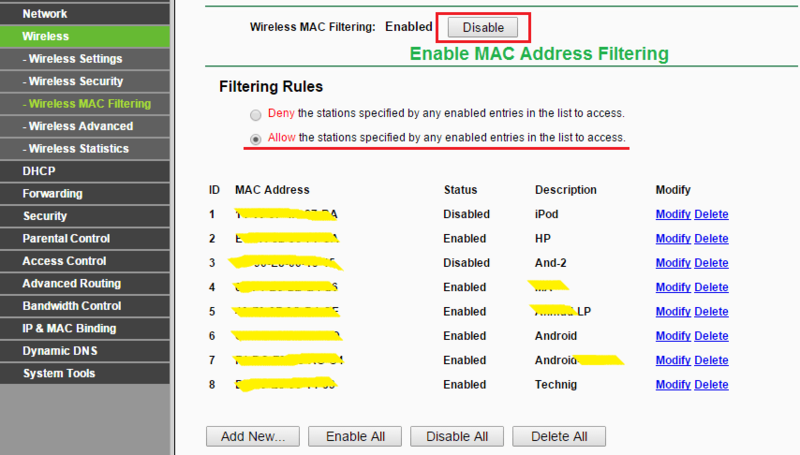 MAC Filtering (Media Access Controller) prevent unknown devices from being connected to WAP without your permission. You see tow option, Deny and Allow, the deny option will deny the clients specified by any enabled entries in the list to access. Allow option will permit the clients specified by any enabled entries in the list to access the WAP. Note: You can find MAC address of your connected devices from DHCP section of WAP and get the others from its network settings or using soft tools to find them. The easiest way to get MAC address of all devices, first connect them to WAP and then check the DHCP Clients List. 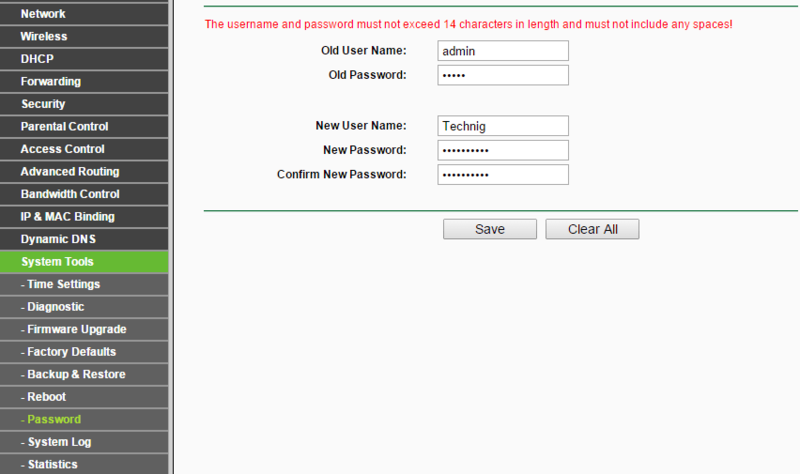 Change the factory default username and password of the web-based interface of Wireless Access Point and set a different username and secure password. Each manufacturer Wireless Routers has a simple username and password like Admin, pass or 12345 to ease access for the first time. Optionally, you can configure DHCP (Dynamic Host Configuration Protocol) to limit the range of IP address from DHCP scope. Finally, you must keep Wireless Access Point in a secure area or in a box and locked to prevent from being reset to factory settings. 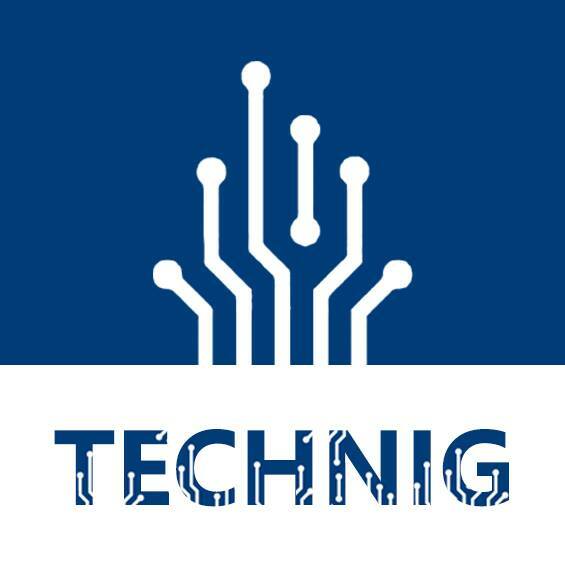 Don’t forget to check it up sometime and update your knowledge about Information Security. So it is enough for Securing a SOHO (small office or home) network. If you don’t know the basic Wireless Access point configuration, I recommend you to read the How to Setup My Home Wireless Network? article. It should apply for all Wireless access point and maybe some PTCL modem does not support new protocols and interface password. thank you for your valuable article and important points. to be save from hackers. once again thnx for your nice and useful topics. It was helpfull for me and I undrestand alot about my home network now. Great. Short and useful information about the WAP. For securing the WAP more, the wireless password should be changed once a month. Yes, it’s a good policy for password. Owsome!! it is the best way for configuring!